Find a Sailboat trip that explores Europe. There are 103 tours to choose from, that range in length from 3 days up to 16 days. The most popular month for these tours is August, which has the most tour departures. "Swimming in the incredibly blue Adriatic was a highpoint for me. I thought Boots..."
"Great guide who couldn’t do enough for us. We arrived as strangers and left as..."
"I had a fantastic tour, with the only downside being a veru difficult bunch of fellow..."
"What a week!! What a crew!! 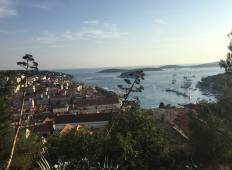 Thank you to everyone who made Sail Croatia AMAZING...."
"From the moment you meet chris you just get this feeling that your whole trip will..."
"I loved the islands. 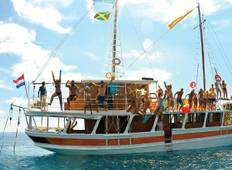 The boat was cool and the captain and other crew were fantastic...."